Our IT services team provides a market leading range of solutions, backed by our industry experience and certifications to provide our customers with personal & honest IT Services. We believe in removing the complicated terminology and communicating with our customers in easy to understand terms. After understanding the business environment, we are able to proactively provide our customers with cost effective solutions backed by great support levels. We are constantly looking at new industry solutions and determining if and how they can assist our customers improve their IT solutions. We pride ourselves on being there for our clients in times of need, understanding that if the systems we managed aren’t running, your business is suffering. Our support platforms are second to none, having our background in business systems & ERP implementation we have integrated many of the key elements of our support platforms together to provide a level of redundancy into our support operations and a world class platform which we want to explain to you. For customers utilizing our business software you have the added benefit of receiving an integrated approach to maintaining your IT environment and critical business software. 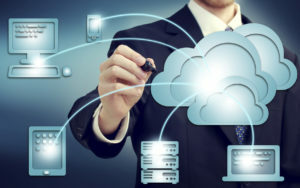 As a Certified Microsoft Sales Specialist, Silver Microsoft Cloud Partner and Certified Small Business Partner, we offer a diverse range of solutions including Microsoft Azure Cloud Solutions, Managed Support, Managed Backup Solutions, PAYG IT Support, Hardware & Software Sales, Office 365 and much more. Want to improve your IT Service solutions & support? Have a quick catch up with us to explain your current IT situation and how we can assist.